Each June, Vancouverites notice that, everywhere they turn, there’s music. On the streets, in the theatres, in the clubs. It’s part of Vancouver’s summer. Increasingly, it’s part of the vacation plans of jazz fans, who flock here for the du Maurier International Jazz Festival, now one of the world’s most acclaimed musical events. The festival’s roots go back decades, to when Vancouver natives Ken Pickering and John Orysik met, in kindergarten. Pickering developed his love of jazz very early; it rubbed off on Orysik and the two have been involved with jazz ever since. In 1975, Pickering opened Vancouver’s venerated Black Swan Records, purveyor of avant-garde and international music. Orysik became a jazz writer and worked at CJAZ, Canada’s first 24-hour jazz radio station. There, he met another jazz devotee, Robert Kerr. When CJAZ dropped jazz programming in favour of commercial music, the three men decided to form a jazz society. In 1984, the Coastal Jazz & Blues Society was born, with Kerr as Executive Director, Pickering as Artistic Director and Orysik as Marketing and Promotions Director. They started to produce concerts; their first sold out. 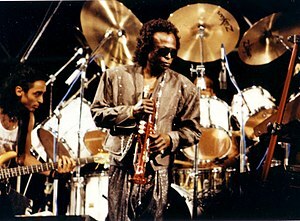 In 1985, they mounted a modest, self-funded, seven-day jazz and blues festival, with musicians from BC, Washington State and Oregon. It broke even. That fact was enough to grab the attention of tobacco giant du Maurier, which was heavily involved with jazz in eastern Canada but wanted to make its jazz sponsorship national. For the 1986 du Maurier International Jazz Festival, du Maurier contributed $125,000. toward a $500,000. budget (the rest came from sales and government agencies). It was Expo time; the city was packed. The festival was marketed through radio, print media and record stores, and booked events on and off the Expo site. The scope of Expo made it easier to score a huge coup when Pickering booked Miles Davis. That led to a publicity boon when Davis had a famously nasty, on-stage confrontation with Wynton Marsalis, an occurrence which was duly covered by the international press. But that was an isolated incident–this festival is an amiable event, with musicians coming from literally everywhere to entertain jazz fans who, last year, totaled 350,000. Pickering stays true to the festival’s mandate of encouraging home-grown talent–each year, Canadians account for 60% of performers. Diana Krall played some of her first gigs here, Colin James is a regular and festival-goers have seen, among many other Canadians, Jeff Healey, Renee Rosnes, Dee Daniels, Fraser MacPherson, Kenny Colman, Oliver Gannon, Jim Byrnes, Kate Hammett-Vaughan and Holly Cole. Which is why the festival’s roster has included Etta James, Carmen McRae, Pat Metheny, Otis Clay and Dizzy Gillespie–but also Soweto’s Mahlatini and the Mahotella Queens. We’ve seen Sun Ra, Joe Pass, Herb Alpert, Dave Bruebeck, John Hammond and Maceo Parker–also Johnny Winter and Deborah Harry. Otis Rush could be included one year, along with the Vienna Art Orchestra; Herbie Hancock and the Staple Singers with a Finnish band whose name you can’t pronounce. Brazil’s Caetano Veloso was here this year; so were the Cowboy Junkies. Pickering also stages ensemble performances where, often, musicians meet for the first time just hours before the show. With his encyclopedic knowledge of international jazz, he can confidently combine, say, a Swedish guitarist, a Scots pianist, a Kenyan saxophonist, a Japanese drummer and a Czech trombonist. He puts them on stage and off they go–and it rarely backfires. This risk-taking is also a marketing technique. Since the advent of the festival, Vancouverites have had no choice but to become musical sophisticates. They’re invited to free jazz workshops and can’t help but stumble across free outdoor performances–this year, there were 61 free concerts at six venues. They hear it, they like it, they pick up a program, they buy tickets to paid performances. This year, there were 311 paid performances at 27 clubs and theatres over 11 days. That’s saturation–it’s great for future marketing, and it grows a future audience. Another clever, marketing/programming tool is having obscure musicians, who Pickering feels deserve exposure, open for big-name acts. For example, this year, an up-and-coming bassist, Kyle Eastwood, opened for the Cowboy Junkies. Who are not jazz musicians. Orysik dismisses that point. 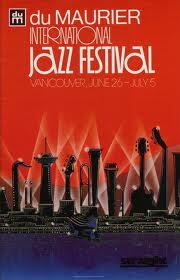 Vancouver also shares projects with the Montreal and Toronto jazz festivals. And the society is involved with Westcan Jazz, a group of societies in Vancouver, Victoria, Edmonton, Calgary and Saskatoon. Through the three associations, Pickering can invite a musician to play Vancouver and, to make it cost-efficient for everyone, arrange dates for him in Victoria, Edmonton, Calgary, Saskatoon, Winnipeg, Toronto, Montreal and Halifax. It’s complicated, but Pickering gets the acts he wants. Organizing this festival is also not inexpensive. Musicians have to be paid, transported, housed and fed; sets and equipment rented. This year’s budget was $2. million, $500,000. of which came from du Maurier. Earned income is ticket sales ($500,000. ), souvenir sales ($50,000.) and concession sales ($90,000). The festival operates two concessions, one in Gastown where it brings it other vendors and works with sponsors like Perrier and Snapple. Its largest concession is at the Roundhouse/David Lam Park, where it has developed, with developer Concord Pacific and Subeez restaurant, the full-service Jazz Bistro. The festival also runs two venues–Studio 16 and Performance Works. The rest of the venues have their own operations; in some cases, door receipts go to the festival; in others, the clubs pay the bands and keep the door receipts. About 12% of funds each year comes from the City of Vancouver and the provincial and federal ministries overseeing tourism and culture. The remaining 40% comes from sponsorships. “Our sponsors have been legion,” says Kerr. “We’ve attracted them by showing them the value of being associated with our event. Sponsorship is an incredible way of developing relationships with individuals who are also consumers, and connecting a company to individuals through something that’s meaningful to their lives. It’s also a way of providing exposure to products in a tasteful and creative way. We try to keep the festival focused on the experience of enjoying the music, while integrating the sponsors within that experience–so it doesn’t become a hard sell, but a way for people to check out what sponsors are promoting. “It’s often not easy acquiring sponsors, though–there are endless ways for companies to spend their marketing dollars. It’s always a matter of meeting the company’s objectives–there has to be a good fit between what the company wants to achieve and what the event can provide. So it’s not automatic that a sponsor will come on board with a successful event. But, over the last fifteen years, I’ve seen huge growth in the corporate community’s awareness of the potential of event marketing. The festival’s sponsor recognition depends, of course, on the level of investment. Rewards range from opportunities to feature products, to full identity integration. In the case of the title sponsor, unfortunately, there is going to be a change. Bill C71, which outlaws tobacco sponsorship of events, makes 2000 du Maurier’s last year as title sponsor, although it can participate until 2003. Kerr is not happy about this, but says they’re not panicking either–the society is financially healthy. It hasn’t always been profitable–it has lost money once, broken even a few times. Now, it runs at a surplus–$90,000. in 1998. That money goes back into program development. Since its inception, the festival’s audience has grown by 20% each year–no mean feat, considering that its product is music which is considered ‘difficult’ (‘truth be told, the odd act can make you yearn for a root canal). The festival’s primary market is music fans age 25-45, in BC, Washington State and Oregon. Orysik reaches them by doing a lot of media interviews, mostly in BC and the Pacific Northwest US. He visits Seattle, distributing posters and programs to music stores, record stores, coffee shops, libraries. And he gets tons of advance coverage in Canadian and American papers, through sending out media kits, sampler CDs and a steady stream of news releases. Ticket sales are aided by enormous local media coverage. With an annual marketing budget of $540,000., the festival does buy radio, television and print advertising, including full pages in international jazz magazines like Jazz Times, Down Beat and Coda, and insert distribution in the Georgia Straight and Vancouver Sun. BCTV is a long-time supporter; so is the CBC–English and French, radio and television. The festival partners with CFOX on blues programming; V.TV was involved this year. Z.95 aired remote broadcasts, Fairchild Radio helped the festival reach the city’s ethnic communities. The festival’s web site (www.jazzfest.mybc.com) provides loads of easily-accessible information. It carries artist photos and bios, sound and video clips and links to artists’ sites. Visitors can search by musical styles, link to other festivals and down-load venue maps, transit maps, weather information. There is a link to Ticketmaster, as well as hotel and restaurant information, archival information and information on volunteering (the society has a year-round staff of seven, but the festival relies on 800 volunteers). Another key marketing tool is the festival’s graphic image. Each year, Orysik et al work with their design firm to come up with one image to represent the festival. This image goes on the festival’s 10,000 posters and the 5,000 shirts and caps which it sells each year (Roots is the official souvenir sponsor). It also goes on the program, the event’s key marketing tool. Each year, 150,000 programs are printed and distributed free of charge. The program is exhaustively descriptive, containing an at-a-glance calendar, an alphabetical listing of acts and short, informative descriptions of what can be expected from each performance. Both Kerr and Orysik envy Montreal, whose festival is five years older than Vancouver’s and is now North America’s largest jazz festival. The envy stems from the huge support which Montreal’s festival receives from government agencies. Kerr sits on the board of Tourism Vancouver, which he says is beginning to understand the value of promoting cultural and entertainment activity here, and of broadening the scope of Vancouver’s image beyond the outdoor/recreational/gorgeous city aspect. Orysik is less thrilled with Tourism BC. “BC has always been marketed as a place with gorgeous scenery, which it has. But what about what people can do when they’re not fishing or hiking? What do you do at night? We’re trying to impress on Tourism BC that Vancouver is also a great cultural destination with a lot of night life and a thriving arts community. They’re starting to get it. “But I look at Quebec, where the government just pours money into its events. It stages press conferences all down the US east coast, where it tells Americans; ‘Come to Quebec! We’ve got this event and that event!’. BC’s competition is growing–New Zealand, Australia, Hong Kong are all marketing heavily. You’ve gotta’ have an edge and that edge is culture. So I wish Tourism BC was more involved in supporting culture. Enough of this: ‘Come see a bear, then go to your hotel and go to sleep!’. This entry was posted in Marketing & Advertising, Music Industry, Profiles, Public Relations and tagged Black Swan Records, Caetano Veloso, Canada, Carmen McRae, Coastal Jazz & Blues Society, Colin James, Cowboy Junkies, Dave Bruebeck, Deborah Harry, Dee Daniels, Diana Krall, Dizzy Gillespie, Down Beat, du Maurier International Jazz Festival, Etta James, Fraser MacPherson, Herb Alpert, Herbie Hancock, Holly Cole, Jazz, Jeff Healey, Jim Byrnes, Joe Pass, John Hammond, John Orysik, Johnny Winter, Kate Hammett-Vaughan, Ken Pickering, Kenny Colman, Kyle Eastwood, Maceo Parker, Mahlatini and the Mahotella Queens, Miles Davis, Oliver Gannon, Otis Clay, Otis Rush, Pat Metheny, Renee Rosnes, Robert Kerr, Staple Singers, Sun Ra, Vancouver, Vienna Art Orchestra, Westcan Jazz, Wynton Marsalis.